The stocking itself is beautiful. I ordered two. I placed the order on December 6th, thinking it was more than enough time for it to arrive by Christmas. Alas, they arrived December 27th. Either order well in advance (a month or more) or don't order with the hope it will arrive on time. I do look forward to hanging them next year. I have a puppy and wanted to get her a personal stocking. The site was easy to use and the prices are great! Hopefully the quality of the merchandise matches the online experience. 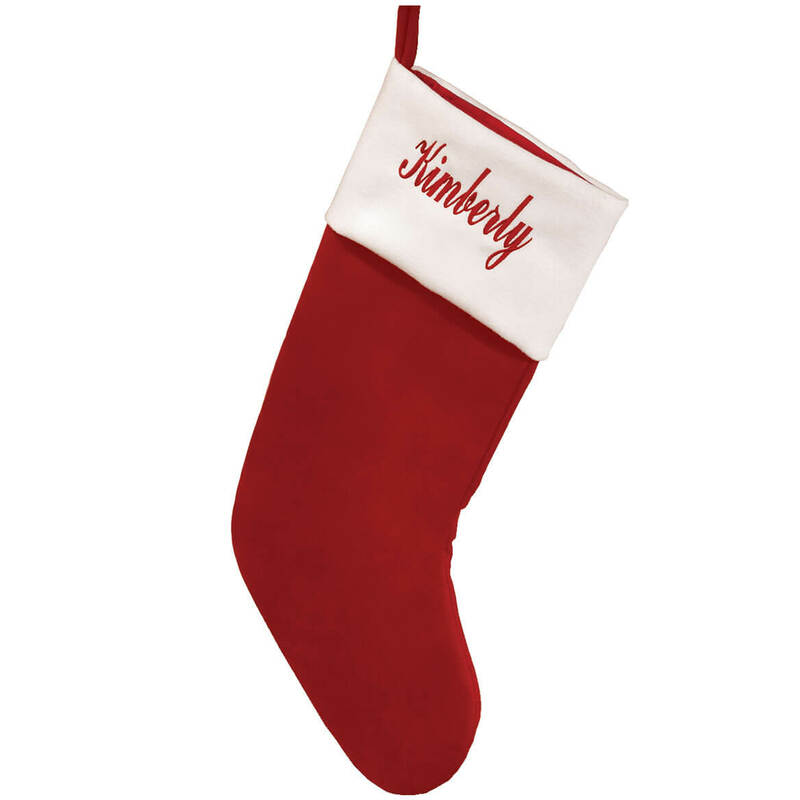 Needed good looking personalized stockings with our new title! These should work just fine!! How long are these diagonally from loop to toe? And how wide is the top white cuff? I’m trying to match some I bought a few years ago. BEST ANSWER: Thank you for your question. The stocking measures 18 1/2" long x 10 1/4" wide. We hope this information will be of help to you.